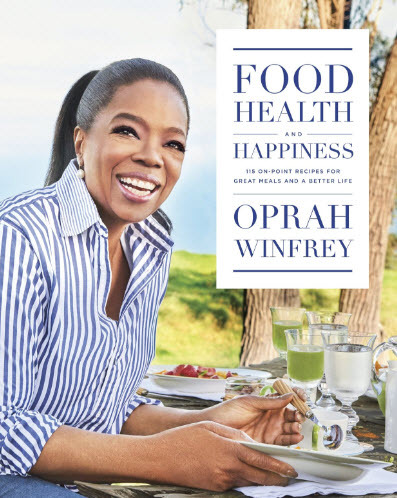 Oprah Winfrey is out promoting her new cookbook Food, Health and Happiness which she says is not a diet book at all. She says it's more of a food memoir than anything else. She was a guest on The Late Show With Stephen Colbert to talk about the book and her weight loss on Weight Watchers. Oprah bought a lot of stock in the company after the plan worked for her. Oprah told Stephen that everyone gets allotted a certain number of points based on how tall you are and what you need to lose. She plays her food points like a game, so that she has enough calories left at the end of the day. Stephen seems as if he's never been on a diet in his life, so his questions were kind of all over the place. He clearly loves Oprah, though, and was back on his interview game when he challenged her to use her skills to make even terrible things sound wonderful.